The Banner Saga was a critically acclaimed RPG upon its release in January 2013. After The Banner Saga 2’s unveiling at the Game Awards, many were curious if it would make an appearance on the Xbox One and PS4, and today that curiosity has been put to rest. “There’s a seismic shift in the video game industry as consumers embrace the contributions and creations of independent game-makers such as Stoic, the incredibly passionate creators of The Banner Saga and The Banner Saga 2,” said Steve Escalante, general manager, Versus Evil. This will not be the first time The Banner Saga appears on consoles as the previous iteration was available on the PS4, but not on Xbox Live. Stoic and Versus Evil cite the [email protected] self-publishing program as one of the reasons why they will be making their way to more than just Sony’s platform. 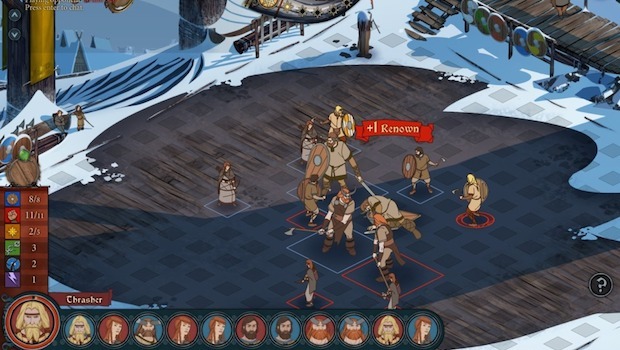 The Banner Saga 2 will be available for the PS4, Xbox One, and PC. According to the announcement press release, we can expect more details about the game to be unveiled in early 2015.